If you take your fingers and place them on your jaw in front of your ears, you can feel your temporomandibular joints. These two joints combine with other muscles, ligaments, discs and bones to create a complex system that allows a full range of movement and activity, such as chewing, swallowing, talking, or yawning. The term "TMJ disorders" refers to a number of muscle, joint, and nerve symptoms that are caused by an irritation of the temporomandibular joint. Neuromuscular or Physiologic dentistry is the science of balancing the joints in the jaw to function optimally, which eliminates painful TMJ symptoms. Dr. Joseph Henry has studied extensively with the top neuromuscular dentists in the world to provide effective treatments to his patients and to teach neuromuscular dentistry principles to other dentists. Find out how he can help you by calling 714-385-1672 or completing the form on this page to arrange your initial consultation. Orange Center for Cosmetic Dentistry serves patients in and around Orange County areas such as Tustin, Santa Ana, and Orange, California. Why Choose Dr. Henry for Your TMJ Treatment? TMJ disorder can be traced back to the relationship between the muscles of the jaw, the joint of the jaw, and the position of the teeth. Misalignment in any of these locations has a direct effect on the whole system of opening and closing the jaw. A misaligned bite—also known as malocclusion—is a common cause of TMJ, and it must be corrected for your pain to go away. If your teeth are out of alignment, then the lower jaw is constantly struggling to meet correctly with the upper jaw every time you open your mouth. In turn, these problems can cause chronic teeth grinding or clenching, which again worsens the jaw problem by increasing tension in the muscles, ligaments, and bones. When the muscles become affected by the accompanying inflammation, discomfort sets in. The cartilage in the joint can even wear down, causing the bones to rub together painfully. When your joints are under constant pressure for years, chronic tension builds up in the jaw, creates inflammation around the head and face, and the many TMJ symptoms become evident. Individuals who experience these symptoms often have a hard time discovering what the exact cause is. That is because many people do not consult a dentist for headaches and other problems outside of the mouth. And general physicians do not typically make the connection between the chronic symptoms their patients are suffering from and TMJ disorder. If you are experiencing one or more of these symptoms, you should schedule a consultation with Dr. Henry to determine if you are suffering from TMD. Many symptoms of TMD are painful because several major nerves run through the jaw area, and perhaps the most painful symptom of all is the TMJ headache. These headaches often resemble tension headaches, which feel like you have a tight rubber band wrapped around your skull. 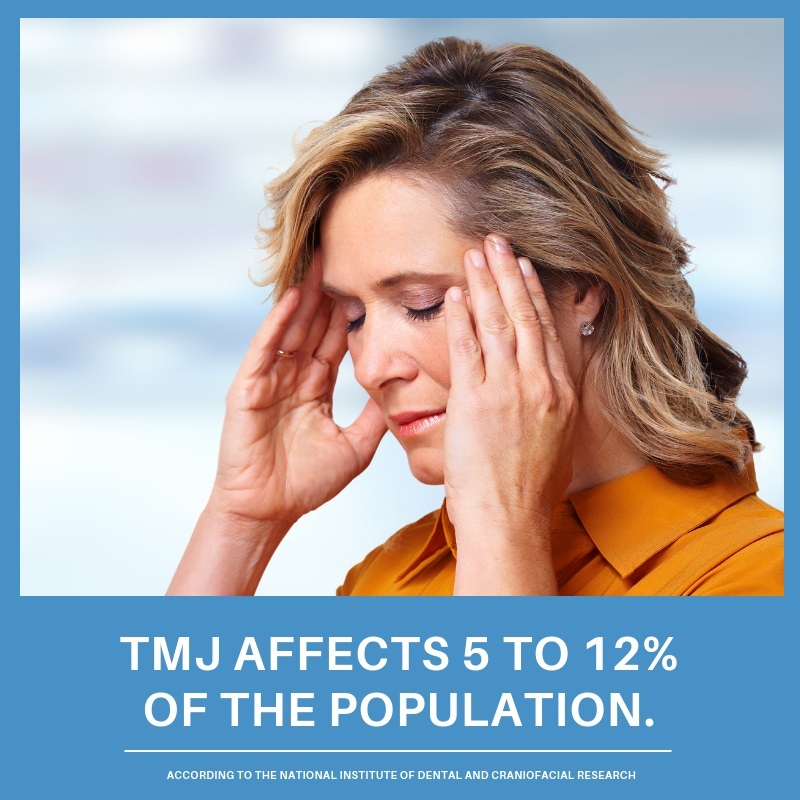 TMJ headaches occur because the inflammation in the jaw area eventually creates pressure on the large nerves in the area. The intensity of TMJ headaches can range from mild to completely debilitating. Many people visit doctor after doctor, and take a string of prescription painkillers, without ever thinking that there might be a dental cause of the headaches. If you suffer from chronic, unexplained headaches, it is worth visiting a trained Physiologic dentist to see if you have TMJ disorder. There are highly advanced methods of finding each person's correct bite. These methods are completely non-invasive, and are used to determine if your jaw is in its optimal position. If not, you may be a candidate for Physiologic dentistry treatment. It's important that you ask an experienced dentist to investigate possible TMJ symptoms. 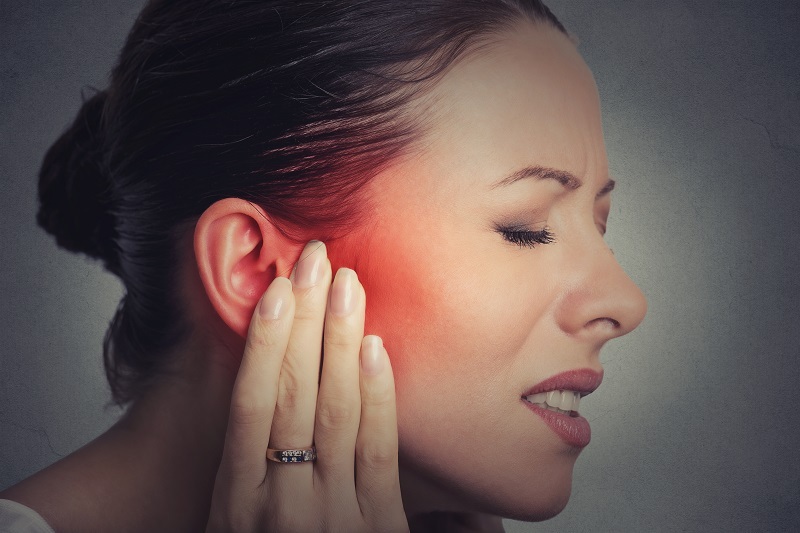 Because the condition involves tension in the muscles around the jaw joint, which is just in front of each ear, TMD can sometimes be misdiagnosed as ear problems, or vice versa. A well-trained Physiologic dentist like Dr. Henry may choose to use all of these tests, or only one or two. He will use the technology to discover how severe your TMJ or other neuromuscular problem is, and that will enable him to decide what course of action to take. TMJ doesn't go away by itself, especially when caused by a misaligned bite or other dental issues. At some point, you'll need to have it diagnosed and treated by a neuromuscular dentist. Once Dr. Henry has determined that you have TMD, he will decide on the best treatment, based on the severity of your condition. The first step is to relieve pain. Dr. Henry will use a device called a TENS unit, designed to relax the muscles surround the jaw, in the head, neck, and shoulders, that applies painless electrical currents to areas on the head, neck, and shoulders. After about an hour of this treatment, the jaw will relax, potentially for the first time in years. Most people experience immediate pain relief after a session with the TENS unit. This relaxed jaw position is the correct one, and Dr. Henry will measure and record it. The goal of any subsequent treatment is to make this position permanent. The second step is to correct your jaw position. Your muscles need to be retrained so that your jaw can always be in its natural, relaxed position. Dr. Henry might make an orthotic for you, which you can wear at all times until the jaw muscles are accustomed to their new positions and movements. A further step could involve dental restorative work to better align your teeth. When your bite is improved, your jaw will relax and the pain will likely go away. Recontoured teeth will meet smoothly, without bumping or rubbing on each other and causing discomfort or tooth wear and tear. Every case is different, and TMJ treatment is always customized to meet the needs of the patient. By using innovative technology during the diagnosis and treatment process, Physiologic dentists today are relieving pain for many TMJ treatment patients. Taking over-the-counter painkillers found in any supermarket or drugstore. Choose one that will reduce swelling and inflammation as well as block pain. Applying a cold or hot compress to relieve the stress on the jaw muscles. Though these remedies certainly help to temporarily alleviate the discomfort caused by TMJ symptoms, it's best to have a well-trained neuromuscular dentist examine you in order to diagnose and treat your problem. Dr. Henry, a graduate of the prestigious Las Vegas Institute for Advanced Dental Studies (LVI), has helped many people find permanent relief from TMJ symptoms. He received his LVI Mastership in 2016, a highly coveted distinction that few dentists in the world have achieved. The LVIM distinction was awarded to Dr. Henry for his understanding of comprehensive aesthetics and functional dentistry, as well as the high standard of work that he has performed in the field of physiologic dentistry. Dr. Henry is passionate about helping patients find relief from their TMJ symptoms. He will work with you to create a completely customized treatment plan that will leave you with a functional, healthy smile! 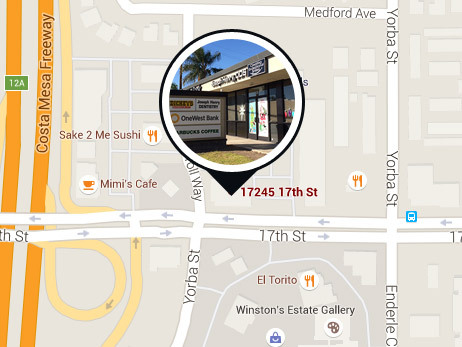 We look forward to seeing you soon at Orange Center for Cosmetic Dentistry. 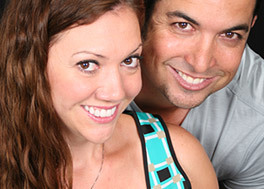 If you think you may have TMJ disorder, please call 714-829-3644 to schedule your consultation with Dr. Henry. Orange Center for Cosmetic Dentistry serves patients from across Orange County, California including Tustin, Orange, and Santa Ana.